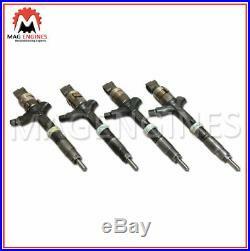 FULLY TESTED & EXCELLENT WORKING TOYOTA ORIGINAL 4 PINS FUEL INJECTOR SET COMPATIBLE FOR TOYOTA PICNIC, AVENSIS & VERSO 2001-09. ENGINE CODE: 1CD-FTV 2.0 LTR DIESEL. 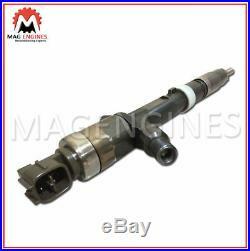 COMPATIBLE FOR VARIOUS MODELS OF TOYOTA FITTED WITH ABOVE ENGINE SPECIFICATIONS. REMOVED FROM A VERY LOW MILEAGE JAPANESE IMPORT ENGINES & TESTED BY PROFESSIONALS. THE PRODUCT IS LISTED WITH ACCURATE PART NUMBER AND THE CLEAR PICTURES OF THE ARTICLE ORIGINALLY FROM EVERY ANGLE. SAME DAY DISPATCH SERVICE AVAILABLE TO UK, EUROPE & OTHER COUNTRIES. PLEASE REQUEST FOR A QUOTE. WE OFFER EXCELLENT RETURN POLICIES! ITEM THAT HAS BEEN INSTALLED WRONG OR ALTERED ARE NOT RETURNABLE/EXCHANGEABLE. ALL PRESUMED DEFECTIVE OR WRONG ITEMS MUST OBTAIN AN AUTHORIZATION BEFORE RETURNING. WE ARE ALSO NOT RESPONSIBLE FOR ANY LABOR EXPENSES, TOWING EXPENSES OR RENTAL CAR EXPENSES CAUSED BY THE USE OF WRONG OR DEFECTIVE PARTS DURING INSTALLATION. 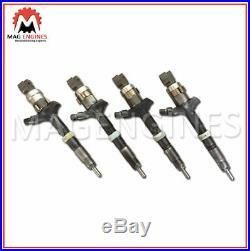 The item “23670-27030 FUEL INJECTOR SET TOYOTA 1CD-FTV D4-D FOR PICNIC AVENSIS VERSO 2.0L” is in sale since Sunday, January 6, 2019. 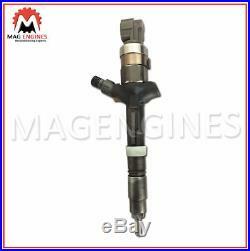 This item is in the category “Vehicle Parts & Accessories\Car Parts\Air Intake & Fuel Delivery\Fuel Injectors”. 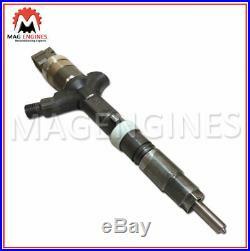 The seller is “mag_engines” and is located in SHARJAH. This item can be shipped worldwide.